While we all know how great exercise is for us, it turns out there’s even more benefits if you get your sweat on with your sweetie. Check out all these ways you can improve your health and your relationship at the same time. Cue the endorphins! While exercising solo can also boost your mood, exercising with your partner can make it even more enjoyable. What’s so great about this? It can deepen your connection and also make you more likely to work out together again. This entry was posted in Fitness Tips and tagged active couple, couple workout, exercise, fitness, fitness tips, healthy love life, healthy valentine's day, partner workout benefits, workout on February 11, 2016 by Janelle Martel. Taking your workout outside is a great way to switch things up and get some fresh air at the same time. 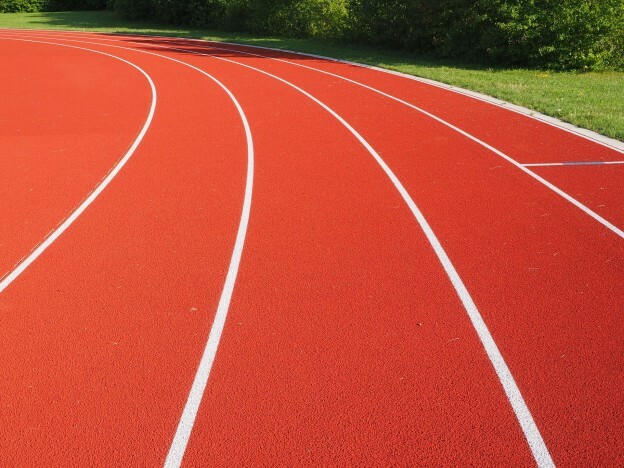 Head to the local track with one of these workouts! This effective workout takes advantage of the bleachers for a complete cardio, booty and thigh workout. 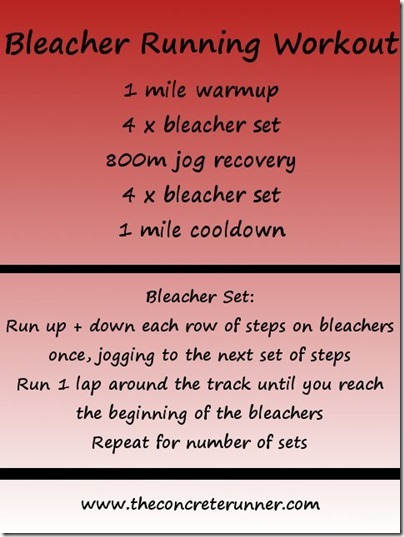 This entry was posted in Fitness Tips and tagged bleacher workout, exercise, exercises, fitness, fitness tips, outdoor workouts, printable workouts, running intervals, track workouts, workouts on October 29, 2015 by Janelle Martel. Our favorite new Booya instructor, Heidi Kristoffer, didn’t have a favorite yoga class. So, she created her own: CrossflowX. CrossflowX combines yoga, cardio and Kundalini Kriyas to create a workout that builds strength, boosts cardio and improves your mood. What’s great about CrossflowX is that you’re able to do the whole workout on the space of a yoga mat, making it a great option to get a total body and mind workout in a small space. Flow yoga is a type of yoga that involves flowing smoothly from one position to the next. Heidi incorporates lots of flow yoga into CrossflowX, which is a great way to increase your heart rate, energize your body and learn to match your breath to your movement. The yoga poses are also great as they use your body’s own weight to build strength. This entry was posted in Fitness Tips and tagged crossflowx, exercise, fitness tips, fitness trends, yoga on November 24, 2014 by TeamBooya.